As if the St. Louis Rams needed a blast from the past to remind them of their glory days, Kurt Warner and the rest of the Arizona Cardinals welcomed them to Glendale. And from what Warner did to the Rams today, it was almost like saying, “St. Louis Rams, this was your life! 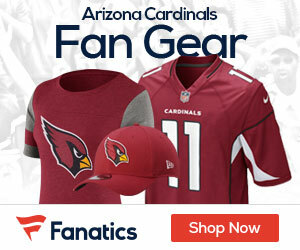 !”; Warner exploited the Rams’ secondary to the tune of 313 yards and a pair of touchdowns, leading Arizona to the 31-10 destruction of St. Louis at University of Phoenix Stadium. The win allowed the Cardinals to reach 10 wins for the first time since 1976, well before the Cardinals called the desert their home. Although the Cardinals clinched their divisional title last week, head coach Ken Whisenhunt wanted Warner to fine-tune his passing game in preparation for the postseason. Suffice it to say, Warner didn’t disappoint. After a scoreless first quarter, Arizona started the second with a five-play 80-yard touchdown drive. The score was set up by a 45-yarder to Steve Breaston, the Cardinals’ longest pass play of the season. Warner threw 10 yards for the score to Larry Fitzgerald. On its next possession, Arizona went a methodical 83 yards in eight plays, Early Doucet getting his first TD catch of the season on an 18-yard pass from Warner. 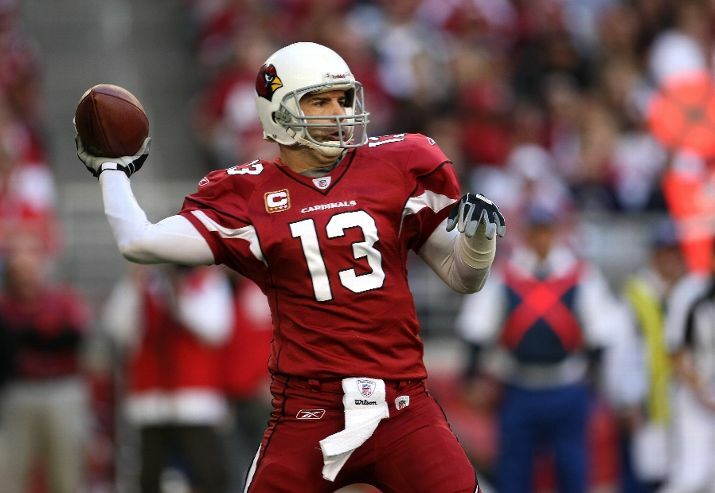 The Cardinals drove from their 17 to the Arizona 1 on their last possession of the half, but they stalled on the St. Louis 1, and Mike Nugent – playing in place of injured Neil Rackers – kicked a 19-yard field goal with 8 seconds left to make it 17-0. St. Louis needed to challenge an official’s call to get the touchdown that cut the Cardinals’ lead to 17-7; Brandon Gibson was ruled out of the end zone on a 21-yard reception, but a review showed one foot and a knee had come down inbounds. Arizona went 57 yards in nine plays with Tim Hightower bowling over from the 2 to make it 24-7 with 4 1/2 minutes left in the third and would coast the rest of the way for the victory. In addition to the Cards’ win, Arizona’s became only the 10th player in NFL history to have 20 interceptions and 20 sacks with a sack of Rams QB Keith Null late in the second quarter while Warner became only the second QB to throw 100 TD passes with two different clubs – the other being Fran Tarkenton. Speaking of Warner, he had a decent effort, going 24-of-38 for 313 yards and 2 TD’s while Null went 20-of-31 for 171 yards with a TD and 3 interceptions. Beanie Wells led the Cardinals’ rushers with 68 yards on 17 carries and a score while the Rams were led by Chris Ogbonnaya with 9 carries for 45 yards. Anquan Boldin led the Cardinals receivers with 8 receptions for 116 yards while Breaston caught four for 64 yards; Fitzgerald caught five for 48 yards and a TD while Doucet caught a pair for 43 yards and a TD. Gibson led the Rams with 5 receptions for 51 yards and a score while Danny Amendola caught six passes for 38 yards. Arizona (10-5) finishes their regular season next Sunday when they host the Green Bay Packers while St. Louis (1-14) returns home for their season finale, hosting the San Francisco 49ers – also next Sunday.